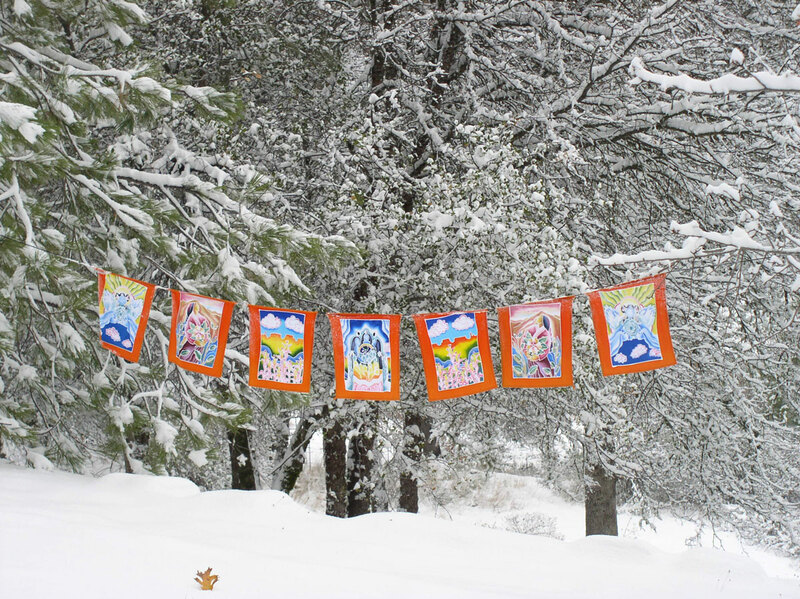 Tibetan prayer flags are the inspiration for Good Karma Flags. We offer beautiful hand-painted decorative flags, vertical streamers and wall hangings. Our artists design them with uplifting images from nature themes, spiritual themes, yoga designs, and a wide eclectic range of beautiful and colorful hand painted images for use in the home, work, yoga studios, and any environment. 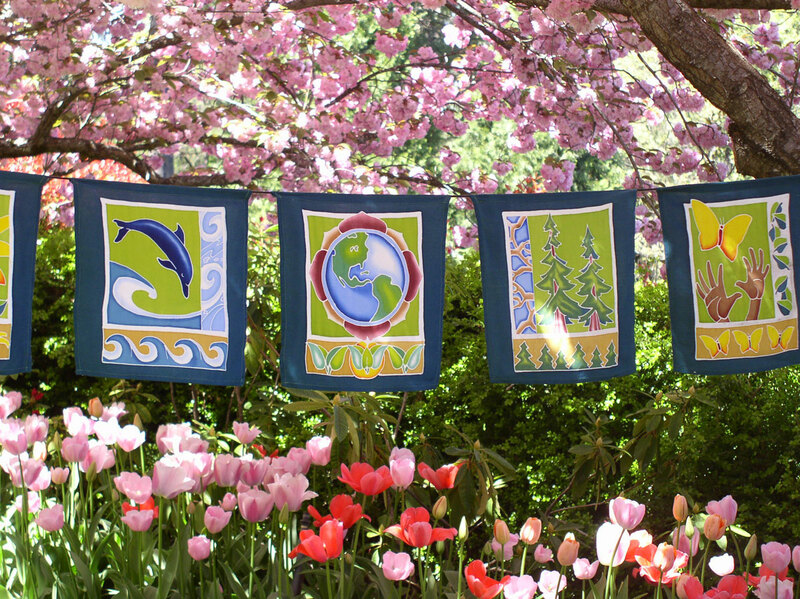 FAIR TRADE: As the owners of Good Karma Flags, we strive to support fair trade in our partnerships with the artisans & craftspeople that we work with. All the batikers fix their own prices for handicrafts. We strive to promote living wages, eco-friendly production, and fair policies with their workers. Being in Bali and spending time with the small-scale batiking shops, meeting their families and co-workers, we feel that our business is a circle of many hands, providing livelihood to many people around the world. We have made regular contributions over the years to support Tibetan refugees in India, and woman-based charities around the world.